It’s unique that Olena Vus has built a career focused on helping Canadians ensure their personal financial success with the right mortgage and credit products, when she comes from a culture where consumer credit is virtually non-existent. “In Ukraine where I’m from, if you don’t have the cash to buy things, you won’t buy them,” she explains. After leaving Ukraine for the U.S. where she spent her senior year of high school, Olena emigrated to Canada in January 2011. She completed a bachelors’ degree in business administration at the University of Winnipeg before obtaining her Canadian Securities Institute certificate and completing the Registered Financial and Retirement Advisor Course (parts I & II) through the Canadian Institute of Financial Planning. Olena launched her career at major financial institutions such as Scotiabank and Cambrian Credit Union, where she was twice recognized as a top performer in sales and lending services. It was in these roles that Olena gained expertise in assessing retail credit requests and delivering quality investment services to her clients. “The adjudication of credit and risk management has always been the area that piqued my interest because no two cases are ever the same,” she says. As an underwriter and client service representative at Outline Financial, Olena’s industry expertise and cultural background are invaluable tools that she leverages to help our clients make the right mortgage decisions. “I think my personal experiences and perspectives allow me to manage challenges and capitalize on opportunities in a very different way,” she says. Here’s what you may not know about Olena: She’s an avid tennis fan who loves playing, watching and talking about the sport. Olena’s passion for tennis emerged while playing in her youth in Ukraine. She would later compete in provincial tournaments after relocating to Manitoba. 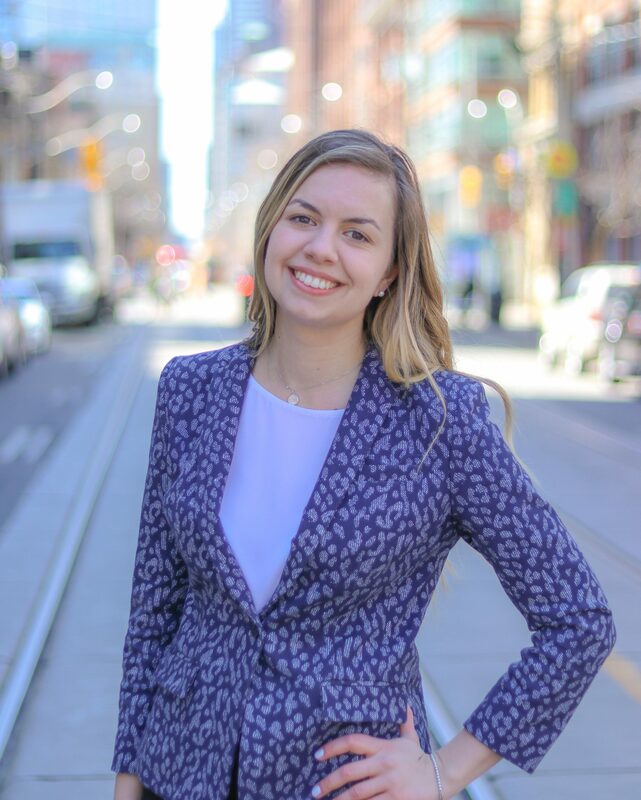 Olena also loves the theatre, whether it’s traditional shows, stand-up comedy or improv—which she supports by volunteering at events such as the Toronto Fringe Festival. When she has extra time in that jam-packed schedule, Olena loves cooking dishes from cultures that she’s experienced first-hand, namely India and Thailand.